Merchant Payment technology is changing fast. A glance into the future would probably indicate that cash will be a thing of the past and our current mix of cash and chip-and-pin payments were clunky and unsafe. Globally, merchants such as restaurants, bars, cafes and retail shops are already embracing technology such as Selfie Payments, Fingerprint payments, Wearable technology and Mobile Wallets. These Biometric Payments is already reaching an audience of 111 million. So where are we up to in the UK with this new array of futuristic payment technology? MasterCard is also rolling out fingerprint and face payment technology in 2019. Stan Swearingen who is the CEO of IDEX – the biometric technology provider for MasterCard is confident that fingerprint payment cards will be implemented across the UK within the next couple of years. He explains: “I believe it’s the future. When you look at the convenience and security, and what it does to the experience, I think it is the future. There are pilots all over the globe, and next year we expect millions of units to be deployed. 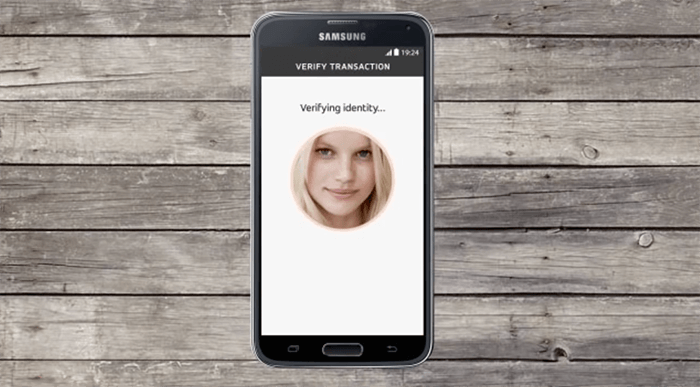 Mastercard Identity Check Mobile customers can authenticate their online payments by scanning either their fingerprint or by taking a selfie. The app is has been rolled out across many countries around the world – expect to see the payment technology very soon in the UK. Alibaba has also embraced biometric payments with their ‘Smile to Pay’ service in China whereby consumers faces are used to activate the payment. Apple FaceID is going to be one of the front runners with similar technology already being used within their products. Fingerprint and Face Payments will reduce Fraud. The new software technology is so advanced that fraudsters will not be able to keep up with the technology especially when the software uses liveness as the critical factor. Aliveness test is when user reads out three random numbers to confirm that they are alive and giving the required information there and then. It will prevent the fraudsters from taking facial pictures from the web and trying to trick the process. A combination of face, fingerprint and voice will provide enough security layers to validate that the customer is who they say they are. Fraud has to be a significant factor in the development of the new technologies as Banks and Credit Card Merchants saw a spike of up to 40% in credit card fraud last year. In the UK alone almost five million consumers had money stolen from their credit card account or bank – averaging around £840 each. That’s approximately £2 billion across the UK alone. Any business owner wants a better experience for their customers. It stands to reason. Why not offer a faster, more secure checkout experience? Whether your business is a brick and mortar shop on the high street or online e-commerce business, there are advancements in technology that are rapidly becoming the norm. These technologies such as face recognition, voice and fingerprint payments add new layers of security are changing the payment industry for the better. No more fraudsters peering over customers shoulders and no more card identity theft to worry about – unless cybercriminals take their game to a whole new level. Combined the security advantages with a faster and easier checkout experience and shopping whether on the high street or online will be far more positive.